The thing about the Persian Gulf is how little you ever know what the hell is going on. You hear rumors; somebody whispers that everyone you know is going to be fired, another whispers back that everyone is going to get a raise, and then nothing happens. This happens in authoritarian places: when someone is obsessed with control, they tend not to tell you much. The point is this: the following is not an alarmist article. The public has no idea how strong IS is or is not in the Persian Gulf. Hell, even regional governments may not know. But that doesn’t undercut a key geopolitical truth: to secure itself permanently, the Islamic State must wage war on the Gulf states. With the suicide attack in Kuwait, that war has begun. IS has both ideological and practical reasons to attack the Persian Gulf; the region is home to its holiest cities while its oil reserves, military stockpiles, bases, and population are all attractive prizes for an expanding state. To conquer the Persian Gulf, IS can’t attack head-on, so it must adopt the same kind of asymmetrical warfare that drove Iraq’s and Syria’s Sunnis into its arms. That means IS must break the social contracts between Gulf citizens and their governments. To do that, they must prove the region’s governments are ideologically bankrupt, unable to protect their subjects, and weak enough to be toppled. And now, the allure of the Persian Gulf to the Islamic State: guns, oil, and holy cities. There are 6 Persian Gulf states: Kuwait, Bahrain, Qatar, Saudi Arabia, the United Arab Emirates, and Oman. Commonly referred to as the GCC (Gulf Co-operation Council, the supranational organization they created in 1980), each of them have followed similar development paths: once poor, now rich. Once weak, now well-armed. Once isolated, now allied to the most powerful country in the world, the United States, whose troops and bases keep the peace between them. They are a mighty prize. Their position on international sea and air lanes make them critical components of world trade: Dubai hosts the largest civilian airport in the world as well as one of the biggest shipping container ports at Jebel Ali. Their combined population is around 44 million compared to IS’s currently estimated 8 million. Combined, they produce an estimated 22% of the world’s oil supplies. With that wealth, they’ve built highways, cities, and entire nation-states from nothing. They’ve bought up war materials from every country on Earth, but most especially from the United States. Each of them host U.S. forces either directly or indirectly. Only Saudi Arabia lacks a formal American base; that’s mostly because the U.S. doesn’t need one now that Saddam Hussein is dead and Iraq as a geopolitical threat is neutered. But the U.S. openly uses both Saudi waters and airspace to conduct operations, sometimes even in tandem with the Saudi military. If the Islamic State is able to capture any of these states, it would go from being a minor regional threat to a genuinely powerful state. It could push American forces out of the Gulf permanently, leaving only Iran as a threat. It would command so many trade and transportation links that the economic pressure to recognize and establish a truce with IS would be unbearable for many; it’s easy to see IS signing treaties with China, India, and other countries that rely on the East-West links the Persian Gulf provides. With the region’s oil resources, IS would slot into Saudi Arabia’s global role by default, and the pressure to accept the fait accompli of conquest could give IS the security that Saudi Arabia has enjoyed for the past 80 years. One by one, oil importing nations would come to terms with the black flag of IS. Moreover, if IS could replicate its successful strategy of conquest it employed in Iraq, it could capture vast swathes of advanced military hardware from Persian Gulf militaries. Overnight, it would rival Israel and Egypt by land and airpower and outclass Iran’s outdated armed forces. If large numbers of Persian Gulf officers and soldiers defected to IS, it would have the people capable of fielding these forces immediately. Destroying this hardware would be fraught with danger; all Persian Gulf militaries have formidable Western-built anti-aircraft systems. The high defense spending of the GCC has translated into modern hardware. To capture that would be a boon for the Islamic State. Last but far from least, the capture of Mecca and Medina would be a propaganda boom to Islamism that would be hard to measure. The religious legitimacy bestowed upon IS would inspire franchises worldwide; counterattacking IS would be compounded by religious collateral damage, since any bombing run on Mecca or Medina would risk a vast global backlash. IS’s security needs are still formidable, and it requires more territory and people to keep itself alive. Its targets must be one of two things: badly armed or badly organized. To the north, Turkey is neither; its NATO-supplied army and Ottoman state traditions make it impassable. To the west, Assad’s power has vastly shrunk, but his forces are still efficient and armed, if outnumbered. Finally, to the east, Shia’s Iraq is sponsored by mighty Iran, a force IS cannot dislodge. That leaves only the well-armed but not entirely stable Persian Gulf region. As IS strategy goes, beyond merely surviving Iraqi, Kurdish, Syrian, Iranian, and Allied attacks, the next inevitable step must be an assault on the Persian Gulf. Key to victory will be destroying Saudi Arabia. Of course, we shouldn’t forget how outgunned IS currently is, which is why they won’t try to invade Saudi Arabia directly. The Saudi army and air force would obliterate a direct assault; they’d also enjoy American air cover. Whatever IS has left in terms of tanks and artillery is difficult to measure, but the U.S. air campaign has certainly made it harder to mobilize those assets, let alone group them together in big enough numbers to win battles. Even if that weren’t the case, from a conventional standpoint, IS has no clear and stable supply lines or communications to maintain a proper invasion. Anbar province is not secure without controlling Baghdad, and it would be from Anbar an invasion would have to come. But that’s not really the IS style, either; it’s not a developed enough state to fight anything but warlords and broken armies. Instead, IS must do what it tried in Iraq during the American occupation, accelerated in Syria at the beginning of the civil war, and perfected last summer. And that means making Saudi Arabia as despondent, confused, angry, and murderous as Syria and Iraq. From 2003-06, IS’s predecessor, al-Qaeda in Iraq, knew it could not implement its vision in Iraq through sheer force of arms. Instead, it sought to create so much chaos that the Americans had to withdraw, leaving Iraq in tatters. Following that withdrawal, al-Qaeda in Iraq hoped to capitalize on the anarchy, ruthlessly grabbing power the fastest and establishing a new, Islamist police state to set order to the disorder it had originally created. To that end, al-Qaeda in Iraq killed as many Shi’a as possible to stir up a civil war; its bombing of a holy of holies Shi’a shrine at Samarra in 2006 did just that. But the strategy failed when the U.S. successfully counterattacked in 2007, bribing war-weary Sunni tribes to attack al-Qaeda while sending more troops to control rampaging Shi’a militias. The survivors of al-Qaeda in Iraq reformed into the Islamic State and went underground. The U.S. withdrew from Iraq under better than expected circumstances. The Arab Spring gave IS a second wind. As Syria’s Bashar al-Assad embarked upon a murderous campaign to retain power, Syria’s social and governmental fabric disintegrated. IS moved into the burning embers of the country, where it regrouped, recruited, and expanded without fear of American power. When it attacked Iraq in 2014, it capitalized on the bad governance of Baghdad, which had squandered the goodwill the Americans had bought and had alienated Sunnis so much that they rolled over for the Sunni supremacist Islamic State. In both cases, the conditions were the same: governments had lost the trust of their people, people had turned on one another and then, after enough blood had been spilled and enough hope lost, IS rode in to the ruins to build a caliphate. This strategy can be replicated in the Persian Gulf, though the challenges are more formidable. Unlike Syria and Iraq, GCC states have social contracts based on wholesale bribery: Gulf governments use oil money to provide cradle-to-grave welfare to their citizens. IS lacks the capacity as a terror group to destroy the Gulf’s oil production. Instead, it must provoke Gulf governments into making mistakes and undermining themselves. This is why Kuwait was such a choice target. By killing Kuwaiti Shi’a, IS sowed discord between Sunnis and Shi’a just as it did in Iraq. A sustained anti-Shi’a campaign there, as well as in Saudi Arabia’s Eastern Province where many Shi’a live, will force security forces to clamp down to maintain order. The more bombings there are, the harder these governments will try to control the situation. Eventually, security forces will make mistakes, overreach, and alienate former supporters in their zeal to arrest and stop IS. That is the crucial beginning of a social breach. Kuwait’s political system is already unstable and its emir has many open enemies. Its conservative brand of Sunni Islam isn’t a huge jump from the ideology of IS itself; within Kuwait’s citizenry are many IS supporters. To hobble or even bring down Kuwait’s government would be a massive victory that would then allow the next, essential step in IS’s strategy. Which is to prove these governments can fall. People too often believe Gulf rulers are untouchable, immovable, politically permanent institutions. This mythos provides them a huge amount of legitimacy. People in the Gulf assume their rulers will never change, so political discussion is seen as a waste of breath. But if IS could prove a single Gulf government was susceptible to collapse, it could cause a chain reaction much like the fall of Ben Ali in Tunisia in 2010 sparked the Arab Spring. There is a key difference, of course: GCC governments aren’t nearly as hated, Bahrain excepted, as the Arab Spring governments were. While the Saudi royal family is unpopular, there’s little appetite for revolution. IS can’t count on a spontaneous pro-caliphate rising to put one of its governors in power in Riyadh. Rather, IS must provoke mass chaos, which cracking a Gulf government could well unleash. If it could be proven violence against a Gulf government is effective, unrest will immediately spread, and IS supporters will go from sending money to far-off Raqqa in Syria to building bombs and choosing targets within their own countries. Each bombing would fray the social fabric; government reprisals would create new IS recruits, while anti-IS vigilantes would emerge, overreach, and further destroy Gulf civil society. In other words, it would look very much like a civil war. Best of all for IS, if U.S. forces got involved to restore order, the backlash would produce even more momentum for IS. Decades of education at the hands of Islamists would come home to roost: taught that their brand of Sunni Islam is superior, foreigners would only hurt those forces they’d want to support. This whole strategy hinges on provoking a Saudi civil war, after which each Gulf state would fall rapidly to chaos and IS power. To wobble a weak state like Kuwait could provoke violence in Saudi Arabia; enough violence there would wobble and even overthrow the decaying and inept royal family, unleashing a disorganized chaos that no one, least of all the U.S., could control. After a period of bloodletting, IS franchises and forces would be very capable of sweeping in and establishing a new police state. A counterattack by the U.S. would just result in a very expensive, very dangerous occupation. With America now producing its own oil, the incentive to rebuild Saudi Arabia would be weaker than ever. Meanwhile, for Saudi Arabia’s neighbors, most of whom are stabler than the kingdom itself, IS forces would be able to use the Saudi civil war as cover to launch attacks, take hostages, and behead Westerners. In tourist-friendly UAE, sustained attacks would cripple the country’s development and empty out Dubai’s glitz; toppling the Emirati government could then wait until Saudi Arabia itself was secured. In Qatar, host to a large American base, attacks would concentrate on provoking a pro-IS coup that would oust the U.S.
Bahrain might escape the IS noose; its Shi’a could take advantage of civil war in Saudi and overthrow the king at last, but they’d need Iranian protection to maintain themselves. Like southern Iraq, Bahrain would then join Iran’s orbit. Only Oman would stand a chance of surviving the chaos. Neither Sunni nor Shi’a, IS supporters in the country would be rare. Converting Omani to IS-style Islam would be slow, violent, and hard; Oman would have to be subject to a proper, organized invasion, if IS could secure itself in Saudi Arabia first. If there was a base for anti-IS forces to regroup and counterattack from, Oman would be it. With control of the Persian Gulf’s oil and Islam’s holy cities, this could be the moment where IS finally earns its place at the UN. It would be supremely difficult to ignore a force in charge of both. Counterattack would require lengthy occupations, and who would want to pay for that? After Iraq and Afghanistan, few Americans would want the job, and China isn’t yet ready to step up. 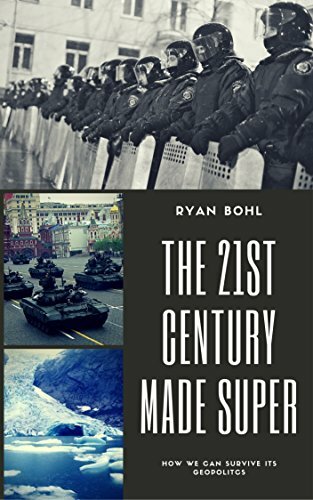 Much as the Allies abandoned their effort to push back the Communists in Russia’s civil war in 1919-20 once they realized the scale of the job, IS could be left to face down local enemies, consolidate its power, and become a true force on the map. The question that decides the probability of all this is simple: just how strong is IS? The battlefield news is mixed; IS wins a town here but loses another there. Mosul remains in IS hands, but Raqqa is subject to heavy U.S. bombardment. Even organizations like the Institute for the Study of War have a hard time measuring how many troops IS has. What is not in doubt is that, in order to secure itself, IS must begin a campaign of terror in the Persian Gulf. It must crack a Gulf government, provoke a Saudi civil war to destroy the region’s social fabric, and swoop in to the ruins. Saudi Arabia is critical: an uprising in Kuwait that doesn’t spread will not secure IS. So much of IS’s energy must be focused on bringing about a civil war in Saudi Arabia just as it did in Iraq in 2005-06. IS may not have the power to do that; it may launch a few more attacks but battlefield reverses against its home turf may force it to abandon the strategy. That is the best-case scenario for the region. Forcing IS on the defensive while hunting down lone wolves is the only thing the Persian Gulf can do. The region’s governments are doing just that, but they’ll need to deploy more power to crush IS sooner rather than later. Unfortunately, the Gulf’s rulers still seem to think the U.S. will eventually do the job for them; that is a mistake. War has come to the Persian Gulf at last. It’s best if the rulers act like it. Fascinating and excellent analysis as always. I look forward to these articles each week. Please keep it up! They already have. Their attack on Kuwait is an indication that this is exactly what they’ll aim to do. Let’s just hope the allies can throw them off and keep them from having the force. Sorry, don’t meant they’ve read this. Just that they’ve figured it out on their own because it simply makes sense.